3 April 2018 Unlocked content from the archive. In Armidale, NSW, in 2009, 24-year-old Elijah Holcombe was shot and killed by a police officer. Elijah was described by all who knew him as a sweet, sensitive and artistic young man, who was also troubled by a mental illness that saw him grappling with paranoia and delusions. On the day he was shot by senior constable Andrew Rich, he was experiencing a delusional episode and holding a breadknife. Rich claims he ‘had no choice’ in shooting Elijah, but numerous witnesses suggest otherwise. The tragedy of this shooting devastates both the Holcombe family and the police officer: they’re all victims here. As the extended legal proceedings play out over the following six years, and subsequent police shootings occur in similar circumstances, Kate Wild is there searching for answers and piecing them together to create this book. Wild is an investigative journalist whose narrative nonfiction will appeal to readers of Helen Garner and Chloe Hooper. She explores her subject with great depth, compassion and sensitivity, sharing in a family’s grief and examining our less-than-adequate mental health system, while including her personal story of mental illness. 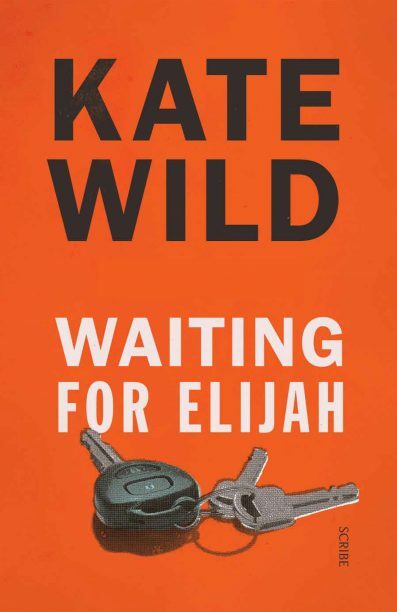 Waiting for Elijah documents a tragedy that could perhaps have been avoided with more training and a better understanding of mental illness. This is essential reading.